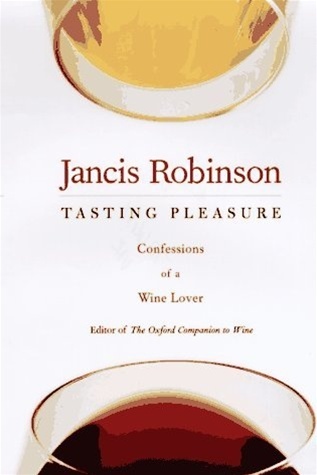 "Tasting Pleasure: Confessions of a Wine Lover"
Even the French admit that Jancis Robinson is the "undisputed mistress of the kingdom of wine" (Le Figaro). Internationally renowned for her work in both television and print, she is the editor of the bestselling Oxford Companion to Wine and has won more than two dozen major awards around the world. Tasting Pleasure is her compelling account of a passion that began while studying at Oxford University. Writing with Julia Child's authority, Elizabeth David's intelligence, and M.F.K. Fisher's verve, Robinson takes us on a journey through the world's finest cellars, most beautiful vineyards, and best restaurants. As she explores the universe of the grape--from Bordeaux to Australia and South Africa to California--we meet scores of colorful, wine-loving characters, including Philippe de Rothschild, Julian Barnes, Francis Ford Coppola, and Julio Gallo. There are many books about producing and rating wine; this one is about enjoying it. Witty, revealing, and knowledgeable, in Tasting Pleasure Jancis Robinson has distilled twenty years in the wine world into a hugely entertaining read.